Amy Provencio Gamboa dreamt of becoming a teacher ever since she was a student in elementary school. But marriage and six children postponed Gamboa’s dream until 1981 when, at the age of 54, she earned a bachelor’s degree with honors in elementary education with a bilingual education certification from The University of Texas at El Paso. “I’ve always had an interest in education,” said Gamboa, who completed one year at the New Mexico College of Agriculture and Mechanic Arts (now NMSU) in 1947 before she married Joseph Ernest Gamboa. “After being out of school for so many years, one of my challenges was to be able to compete with younger students. With my strong belief in education, I had no problem.” UTEP alumna Amy Provencio Gamboa graduated from UTEP’s College of Education in 1981 at the age of 54. 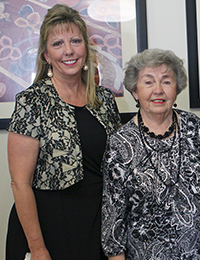 This spring, her children established the Amy Provencio Gamboa Endowed Scholarship in her honor, which will support UTEP students who are planning to become educators. Gamboa’s commitment to education inspired her children – Joe Henry Gamboa, Dolores Gamboa, Connie Gamboa, Carlos Gamboa, Robert Gamboa and Teresa Gamboa Childs – to establish the Amy Provencio Gamboa Endowed Scholarship in spring 2014. The scholarship supports UTEP students in the colleges of Education and Health Sciences who are pursuing their dreams to become future educators. The annual scholarship will benefit a student who is either pursuing a Bachelor of Interdisciplinary Studies in Elementary Education or a Bachelor of Science in Kinesiology with a concentration in Physical Education Teacher Education. Gamboa’s love of sports piqued her interest in physical education. Her husband, a second lieutenant in the U.S. Army Air Corps who trained as a bombardier during WWII, won her heart through the game of bowling. Because of their shared passion for the sport, he and his family built a bowling alley in Las Cruces. “Our mother had always been a talented athlete and dreamed of encouraging others to be physically active,” said Connie Gamboa, assistant dean for student affairs in the College of Health Sciences. “She wanted to be a physical educator.” However, marriage and the birth of their first child, Joe Henry Gamboa, compelled the couple to refocus their dreams. It was not until 1968, after their first three children were in college, that Gamboa became a substitute teacher. She also began taking classes at El Paso Community College and eventually enrolled at UTEP when she was 50 years old. Gamboa and her youngest daughter, Teresa Gamboa Childs, attended UTEP at the same time. “Instead of yelling ‘Mom,’ I would yell ‘Amy’ when I saw her at the Union or across campus because we were co-eds at UTEP,” said Childs, laughing. “She was ‘Amy’ when we were on campus.” Whether Gamboa was substitute teaching or doing homework, her children always came first. Connie Gamboa remembers the family sitting around the living room coffee table, which was covered with her mom’s school books and papers. When she needed a study break, Amy Gamboa would go outside and jump rope 1,000 times to clear her head. The first scholarship (and perhaps a jump rope) in Gamboa’s name is expected to be awarded in the fall. By Laura Acosta, UTEP News Service. Barry and Barbara Coleman have been long-standing, generous supporters of UTEP – their adopted university. They lived in El Paso for over fifty years, actively involved in the civic affairs before retiring to Dallas in 2012. Barbara worked as an educator and served on a school board and Barry was a pharmacist and entrepreneur. Despite being drafted into the U.S. Army in 1956 during the height of the Korean War, Barry was still able to attain his degree in pharmacy from the University of Arkansas in 1957. During the war, Barry’s first assignment was at El Paso’s Fort Bliss. He worked at the William Beaumont Army Medical Center and he later met and married Barbara, before fulfilling his commitment to the army. In 1960, the Coleman’s bought their first pharmacy store in El Paso, near East Yandell Drive and Campbell Street. They eventually grew to open five Coleman Pharmacies and five Sun Drugs between 1960 and 1987. Barbara was a driven educator and served on the school board and was on the R.E. Thomason Hospital Board of Directors. Barry served as president of the American Cancer Society, the Texas Pharmacy Association and the El Paso Drug Abuse Council. As the president of the American Cancer Society, Barry initiated a campaign in the 1970’s to encourage pharmacies to stop selling tobacco products. His resolution passed and he was successful with the small chains and independent stores. Through their work, Barry and Barbara recognized a need to help bring more pharmacists to the area. In pursuing this goal, Barry started conversations with UTEP administrators and faculty and participated in various health committees at UTEP. 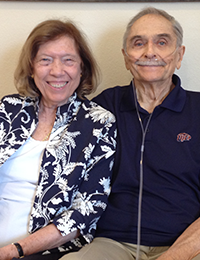 In 2014, Barry and Barbara established the Barry and Barbara Coleman Professorship. The endowment helps support UTEP’s Pharmacy Program by advancing faculty research working on Texas border public health issues. Barry Coleman died in April 2015. In June 2015, the Texas State Legislature approved a free-standing Pharmacy Program at UTEP, the life-long dream of Barry Coleman. Through their combined giving and advocacy, Barry’s legacy will be felt for generations. Barry Coleman was the first inductee to the UTEP Pharmacy Hall of Fame in recognition of exemplary dedication and service to the Pharmacy profession and extraordinary commitment to the education of Pharmacy students in El Paso. Dr. Garcia obtained her bachelor’s degree in biology from Texas Western College, now UTEP, in 1961. In 1969 she realized her dream of becoming a doctor, and became the second Latina to graduate from UT Southwestern Medical School in Dallas where she has lived and worked as an anesthesiologist for over 50 years. Dr. Garcia has been actively involved in civic affairs, with a strong desire to help young Hispanic women succeed. In 2015, she established the Dr. Catalina E. Garcia Student Enhancement Endowment, which supports cultural immersion activities for students in the UTEP’s Medical Profession’s Institute (MPI). Her gifts made it possible for MPI students to travel to the Dominican Republic to research the clinical practices in the rural province of Santiago. “It really broadens your mind when you work in another country and see how other people live. Those experiences provide important lessons on how to interact as helpers and physicians to other cultures, so that they can learn about us and we can learn about them.” Dr. Garcia hopes to give back to UTEP students for generations to come. She has made a provision in her will to make additional gifts to UTEP to help students achieve their professional aspirations. The UTEP Library is an extraordinary resource for both teaching and research that addresses the University’s international mission. As a specialist in African and imperial history, I am continually amazed by the array of materials that are available—expanding rapidly as more and more documents are digitized. Now my students can read Nigerian newspapers from the 1930s or documents from the Freedom Struggle in South Africa. Or explore the hundreds of volumes of British records of the slave trade and colonization. It’s an exciting moment for research and for libraries, but we need to ensure that UTEP students have the same access and opportunities as their counterparts in other research institutions. Clifton Walsh joined UTEP as Chief of Police almost nine years ago after serving as the Westside Commander of the El Paso Police Department. Today Chief Walsh is giving back to UTEP because he believes that, like safety, giving is a united effort. "You never know who you could be helping with your gift; it could be the next great engineer, or someone who finds a cure for cancer, or even the next president. That's exciting to think about." In 2007, she established the Richard and Joyce Jaffee Family Scholarship to provide a deserving graduate student with the financial support to complete their Master of Science in Nursing degree. Then in 2011, Joyce established the Richard and Joyce Jaffee Endowed Scholarship in Nursing for a student pursuing a Master of Science in Nursing degree. Throughout Joyce Jaffee’s long and rewarding relationship with the School of Nursing she has always maintained her enthusiasm for investing in students. In a distinguished career spanning three decades at The University of Texas at El Paso, Tom Chism left an indelible mark on the students he taught, the faculty and staff he worked with and the University he served. Straight out of seminary college, Chism joined Texas Western College (now UTEP) in 1956 as chairman of the Department of Religion and director of the Baptist Student Union, where he gained the respect and admiration of the students he mentored. Before retiring from UTEP in 1992, Chism went on to serve as director of student activities and of special academic services. This established the foundation for support services and programs at the University that continue to benefit students today, such as new student orientation, recruitment, study skills and tutorial programs, and the International Student Office. Yet of all his accomplishments, Chism was very proud of the role that he and Texas Western College (TWC) faculty members Ralph Lowenstein and Rabbi Floyd S. Fierman had in helping to desegregate the city of El Paso in 1962. For two years, Chism, Lowenstein and Fierman were part of a committee that worked on legislation to end racial segregation in the city. Chism’s daughter Judy Malazzo described her father as a man with a servant’s heart. When he became ill, Chism was more concerned about the nurses who cared for him than about his own health. Malazzo said it was quite fitting that a scholarship in her father’s name was established in the School of Nursing because it is a place that prepares students to go out and help others. The scholarship was established by an anonymous donor with support from the Chism family and Chism’s former students. The first scholarship was awarded to a deserving nursing student during the 2015-16 academic year. To qualify, students must be enrolled at the University full time and maintain a minimum 3.0 GPA. When Wilma Salzman contributes to a scholarship in the UTEP Department of Music, she experiences an immediate benefit. “When I give, I get to see a student’s performance—to feel and hear it first hand— and this tells me they are more than worth the investment.” Salzman said. 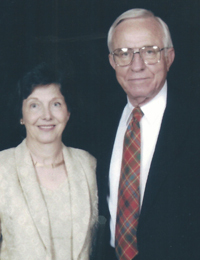 Wilma and Michael Salzman began their major support of the music department in 2003 when they presented the Claude Herndon’s collection of musical scores to UTEP. In 2004 Wilma planned to surprise her husband, Michael, on his 60th birthday, with a concert and the announcement of the Michael Salzman Excellence Endowment in Piano Performance. Michael died before this happened and yet she decided to make it a memorial concert in his honor, and announce the establishment of the endowment. “This experience was so rewarding,” Wilma said, “that I just keep on giving.” Today she also supports the Wilma Salzman Annual Flute Scholarship and the Wilma Salzman Annual Vocal Scholarship at UTEP. The three scholarships afford her the opportunity to keep in touch with the students and to follow their musical careers. 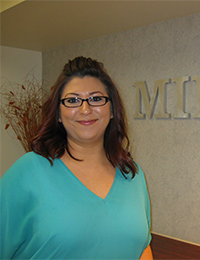 In 2010, Wilma became a member of UTEP’s Cornerstone Society, a distinguished group of UTEP friends and alumni who choose to name the University as one of the beneficiaries in their estate planning. Wilma owns Table Top Press, a publisher of materials designed to help children learn music and be inspired by it. She was influenced by German composer Carl Orff, who developed an influential approach to the music education of children. Born in Ottawa, Canada, Wilma won a scholarship her senior year at the University of Toronto to attend the Orff Institute in Salzburg, Austria. Wilma expresses her genuine gratitude for the financial assistance, “this scholarship afforded me the opportunity to study in Austria,, it would not have happened otherwise…” . ”Wilma earned her master’s degree in early childhood education from Middle Tennessee State University where she became the director of the Kindergarten program at the Lab School at MTSU. She met and married her husband, Michael in Tennessee and followed him to El Paso in 1975, where he became Vice President of Kurland-Salzman Music Company. Since then, Wilma Salzman has been an influential voice for the preservation of music education in the secondary school curriculum, and has spent a lifetime teaching, writing and composing music. 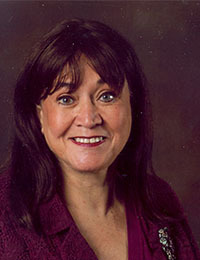 Dr. Moya, an Assistant Professor of Social Work, made her first gift to UTEP in 2001. Today, through the UTEP Family Campaign, Dr. Moya is giving to the College of Health Sciences because she understands the importance of health related education and the research done by UTEP Health Sciences faculty and students. Jessica Hanna started working as a coordinator for the Miner Athlete Academic Center (MAAC) in 2013. Excited to make an impact in the lives of students, she joined the UTEP Family Campaign. The Campaign is made up of UTEP faculty and staff who give back to the University. Hanna is enthusiastic about helping and believes her contributions, along with those of others, help students and programs across campus receive the funding they need to succeed. 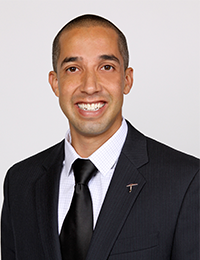 UTEP alumnus Jesus Licona, made his first gift to the UTEP Family Campaign in 2012 with the goal of impacting the quality of life on campus by choosing to donate to the Campus Transformation Project. Today, as Assistant Director in the Facilities Services Department, he enjoys contemplating the Centennial Plaza and its surroundings, and is proud to work for his alma mater where he is in charge of providing a safe and pristine campus environment to our students.